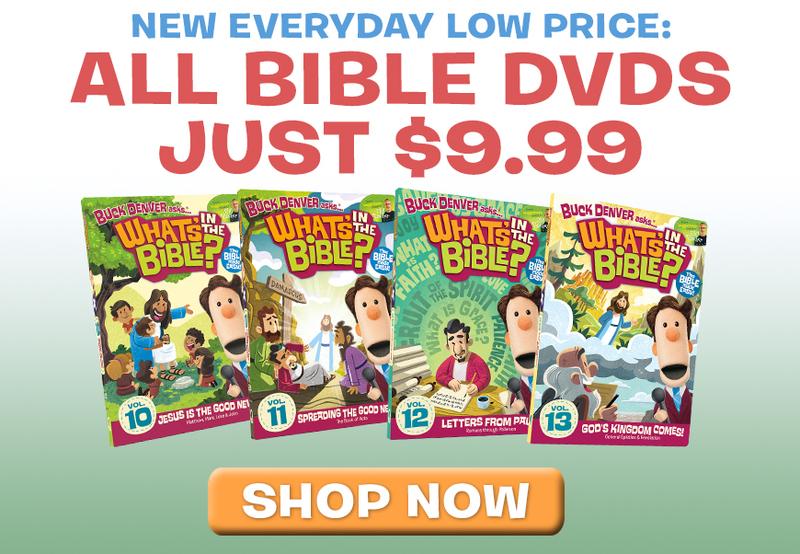 Many of our readers have been looking for busy bags for younger children. 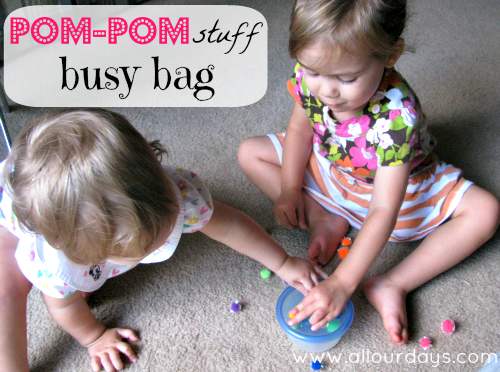 Well, today’s busy bag is perfect for a toddler, but our preschooler likes to be included as well. Even our 14 month old loves this activity, although we have to keep a close eye on her so she won’t try to eat the pom-poms. The concept is simple. 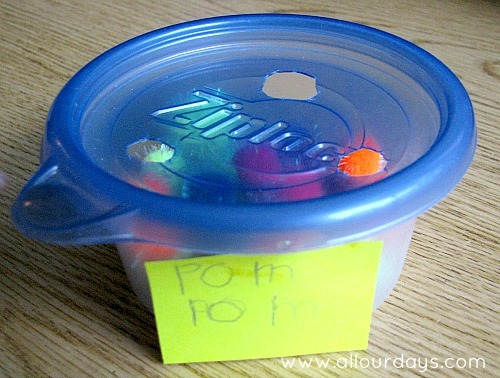 Just dump out the pom-poms, put the lid on and push the pom-poms back into the container through the holes. We made one larger hole and two smaller ones. 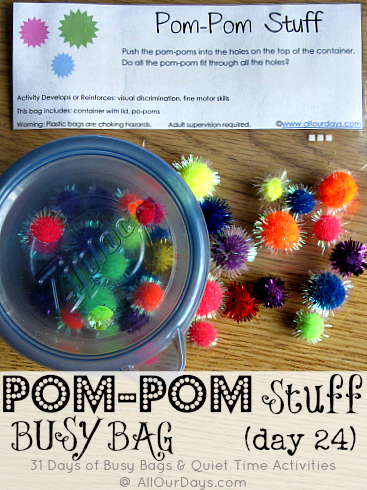 We also included two different sizes of pom-poms. the larger pom-poms only fit through the larger hole so it adds some size discrimination and logical reasoning practice as well. Our pom-pom container was even included in one of Emahry’s label-the-house-with-Post-its episodes. That girl seriously loves Post-its! 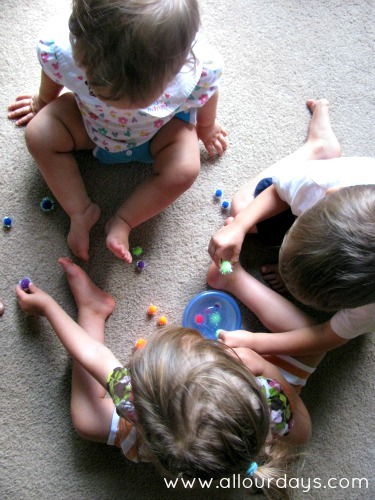 Do you think your baby, toddler, or preschooler would like this activity? Leave us a comment below. My toddler/preschooler does this activity. She enjoys it and likes to have a couple paper plates to put them on as well so she can pretend they are candies. She was picking them up this morning to put away and the 16 month old wanted to try to. He thought he was big stuff helping put the pom-poms through the holes in the container. He is usually napping when she has them out, so he hadn’t seen them before. My 18 month old LOVES this game. He would play it all day long except he isn’t strong enough to get the lid off yet so I have to keep taking the lid off so he can play again. And I get bored with it too soon. 🙂 This is a great activity for toddlers. Maybe the pom-poms could be baby birds that have to get back to their nests, that kind of thing always worked with our oldest, while our son was content to make baskets and score goals.